It might surprise you to know that there are debt payment mistakes that you could make in the midst of paying down your financial obligations. Some are more evident than others but at the end of the day, these mistakes can compound an already uphill financial situation. There are times when you could be working on a shoestring budget and mistakes, big or small, could put you in the red. There are times that you simply need to focus. For one thing, you might already be looking at what you need to do next after a debt consolidation loan that you overlook the present. It is admirable to try and put in some forward thinking on your finances. However, if it means that you are not able to manage your present situation, it might be better to focus on the present scenario. You run the risk of stretching yourself out too thin. This is important as there are a lot of American families who are trying to manage debt payments. CNBC shared in a recent piece that an average American family has over $8,000 in credit card debt. Put this on top of mortgage loans, car payments, and even student loan debt and you will see your monthly expenses going up. It is a good thing if your income and lifestyle are able to adjust accordingly but more often than not, they are usually playing catch-up with your debt payments. It is not fun to continuously look for ways to increase your income or lower your expenses simply because you need to meet your debt payments. Add the fact that there are debt payment mistakes you might be making along the way. If you are currently trying to meet all your debt payments, here are a few of the most common mistakes people make. Knowing them and being able to prepare and make adjustments might just be the thing you need to succeed in your goal. This is an all too common scenario yet a lot of people overlook it. A lot of times, people would simply try and address the symptoms of their problem thinking it will solve everything. It can solve their current predicament but the underlying factors would still ripple out to other areas of their life. Then they go through the same process again and again. Just like smoking, people would treat the coughing and the low immune system. They would take cough medicine or even increase the oral vitamins they are taking. They could throw in a few exercise routines here and there. However, even with all these, continuing to smoke would simply undermine your efforts. The time will come when your body might not be able to take it anymore. This is why it is one of the most common debt payment mistakes. People usually are quick to focus on the symptoms and not the problem. They would be trying to look for ways to cover the monthly payment on the card but not treating their penchant for new clothes. They could be looking for ways to increase their income to pay their expenses because they love shopping online. In these cases, it is better to treat the love for shopping so it does not ruin your budget in the future. 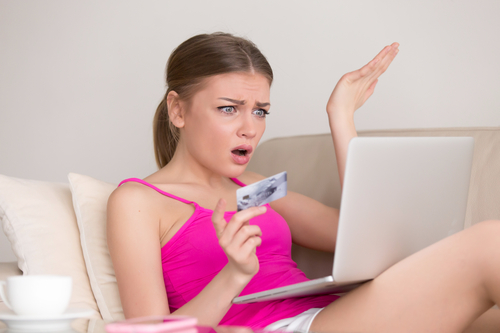 Another mistake people make when they choose to consolidate their credit card debt is they fall into a false sense of security and financial capability. Once you consolidate your credit card debt, you get to wipe out the balances on your cards and transfer them over to a card with low to 0% interest rate. This gives you the opportunity of paying down your debt with a lower amount and save interest payment along the way. However, once you glance on your cards, you might feel the impulse to use them again seeing that they do not have any balances anymore. You might max them up again and add more your debt problem. CNN shared recently that credit card companies love it when you pay minimum because you end up paying them more money. Another one of the debt payment mistakes you might make especially when you consolidate your credit card debt is running up the bill on the card you consolidated to. 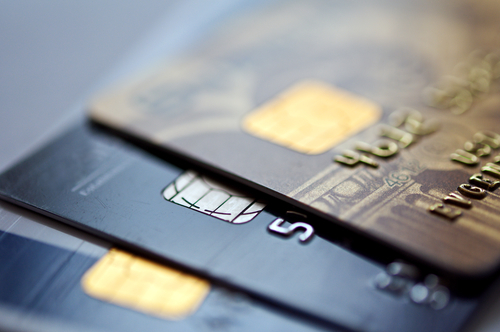 The low-interest rate or even 0% introductory rate might encourage you to keep using the card. What you need to remember is that oftentimes, these low rates are introductory offers only. They do not last very long and you need to pay up the balance within that time limit. This is one of the debt consolidation mistakes a lot of people make because they forget that the low rates they have do not last forever. After a set amount of time, the rates could go back up and payments could go up as well if the balances are not paid on time. This means that you need to be aware of the exact details on your low-interest card. You read that right – there are times when you are too focused on the wrong numbers. In this case your credit score. If you are making debt payments and make them on time, improvements on your score will follow. In fact, USA Today mentioned that the steady growth of the economy over the last 8 years has led to improved credit profiles for Americans. There is nothing wrong with wanting to have a high credit score but it becomes one of the overlooked debt payment mistakes when you neglect a lot of other things. Rather than focus on your payments, you try and open a lot of credit to lower down your credit utilization ratio. This could work but could backfire as well as they perform hard pulls on your credit. The best thing to do is to maximize the situation by simply making on-time payments on your debts. The more you pay on time, it gets reported in the process to credit reporting bureaus. This positively impacts your score and will help kick your score up a notch. At this point, you might have a regular schedule of your debt payments which is essential. However, when windfall money comes along, you do not know where to put it exactly. Unexpected money can be in the form of a tax refund check or even a bonus in the office. It is good that you want to use it for debt payments but it might not be effective if you do not know which one to prioritize. One of the things you need is a repayment plan. You can consolidate your debt payments so you are only making one payment for all of them every month. This way, windfall money can simply be paid on that consolidated loan. You can also simply choose whether you want to pay off the ones with the biggest balance or the highest interest rate. The important thing is to have a plan rather than simply putting a little bit of extra payment around that might not make a big difference. There are a number of debt payment mistakes you might not be aware of which could negatively impact your finances. The best thing to do is to read up on them and be able to pick them out and prevent them from damaging your repayment efforts.